We spend a lot of time on this blog talking about medical issues in times of trouble, from storms to a complete societal breakdown. However, times of trouble can be very personal, such as when you find yourself or a loved one battling a debilitating medical condition. This has happened to one of my sons, Daniel. Daniel is a 30 year old who has had severe diabetes since he was nine years old. Due to his disease, he has developed kidney failure and partial blindness, and has been on dialysis for the last year. He has been on a kidney and pancreas transplant list since that time. After a number of false alarms, a kidney and pancreas became available as a result of a drunk driver taking the life of a young father of two as he was riding his bicycle. He underwent the surgery at a large hospital, one of the few in the state that performed this type of procedure. The good news is that the new organs functioned well from the very start, producing urine and lowering his blood sugars to almost normal levels within 24 hours. Several days after the operation, he was deemed fit enough to leave the Intensive Care Unit and go to a regular floor. This means that, instead of having a nurse specifically for him, he shared a nurse with several other patients. This is standard operating procedure, and usually has no ominous implications. However, when I went to see him that day, he wasn’t looking well. He seemed pale to me, and his abdomen seemed more distended that it did before. There was a drain coming out of his belly, and it was full of, what seemed to me, frank blood. He was getting vital signs (blood pressure, pulse, etc.) taken every 4 hours, and the chart appeared to show that he was stable and doing fine. Seeing the blood draining out of his abdomen concerned me. I took his vitals myself earlier than scheduled; he was tachycardic (pulse very fast) and his blood pressure had dropped. As I was unable to find medical staff, I emptied the bloody drain and it filled up again (and again) within 2-3 minutes. It was clear to me that he was bleeding internally, and it was a significant amount. He was heavily sedated and wasn’t complaining; I doubt , since he is nearly blind, he could find the button to push to notify the nurse even if he was awake. This was late at night, and most visitors had left. Staffing was light, also, and it took some time to find his nurse, who was attending to another patient. My surgeon’s hackles were raised, and I (not ashamed to say) raised a ruckus which led to an overworked resident to take a look at him. To her credit, it was clear that something was wrong, and he returned to surgery. They wound up removing 3000-4000cc of free blood from his abdomen and stopping the hemorrhage. He is back in the ICU and, thankfully, his kidney and pancreas are still functioning. However, thinking about this episode, it was clear to me that it could have ended very badly. If not identified in time, it’s very likely that I would have received a call in the morning notifying me that he passed away during the night. I’m telling you this story not to gain sympathy or a pat on the back, but to convince you of the importance of being a patient advocate for your loved ones who are experiencing a medical TEOTWAWKI. If, like many of our readers, you are working to become a better medical asset to your people in hard times, then you must take patient advocacy as serious as learning first aid. Most healthcare providers see themselves as advocates for their patients, but they are limited by their workload and many other duties, especially in public or university settings. Having an outside person who is invested in protecting their loved ones is important; it’s too easy to get lost in the system, and a hospital patient is often in too weakened a state to fend for themselves. You don’t have to be a medical professional to be a patient advocate. Most are just friends and family who offer their time and support to help the patient communicate with their doctors and cope with a process that is often confusing and, frequently, just plain scary. Nurses are often excellent choices as patient advocates, as are any of you who have taken on the responsibility of survival medic. Ethically, you are honor-bound to be committed to the medical welfare of those in your family or group. Part of this duty is to protect the rights of the patient. You will be required to be inquisitive regarding the care given, as well as courageous and vocal in your dealings with healthcare providers. It helps a little to be a diplomat, as well, but I’ll take the first two requirements over that. Accept the importance of a patient’s rights. Advise the patient so that they can be a full partner in the therapeutic process. 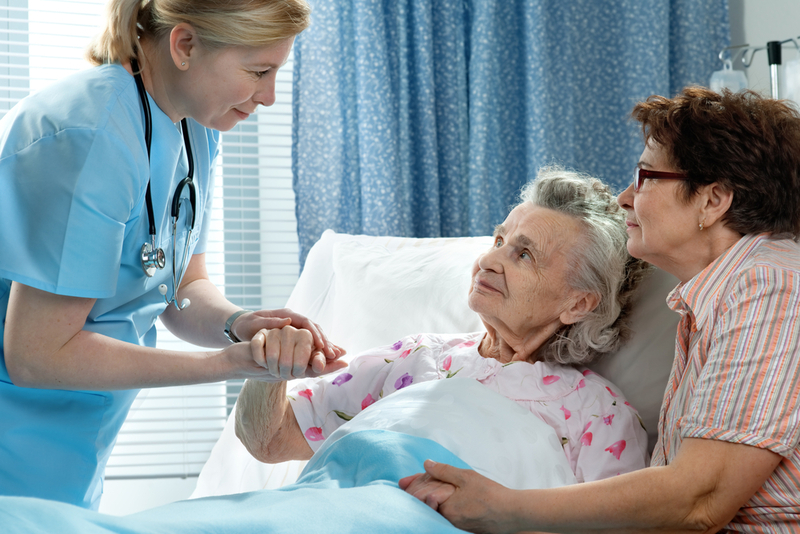 Act to run interference between patients and their caregivers to ensure that the patient receives the best care possible for their condition. My son is still in a fragile state, and I can’t tell you how he will end up. I CAN tell you that he is still alive, and he has advocates that will fight for him. Pick up the flag, and protect those who might not be able to protect themselves. It’s up to you. Are you ready to deal with medical issues in times of trouble? With the Doom and Bloom(tm) Survival Medicine Handbook, you will be!